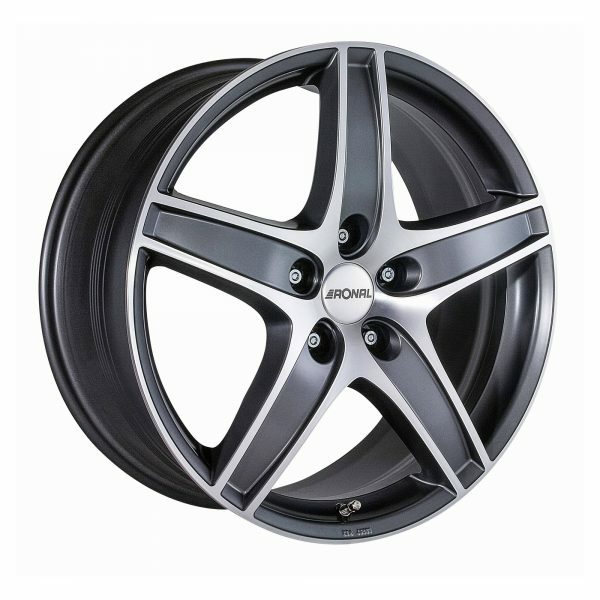 Ronal R48 Titanium Front Diamond Cut 16, 17, 18 and 20 inch alloy wheels (set of 4 wheels). 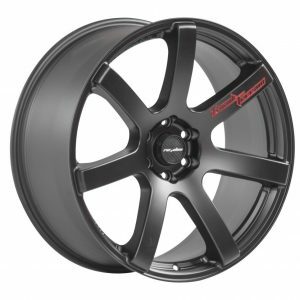 16×7.5″, 17×8″ 18×8.5″ and 19×8.5″ sizes available. The Ronal R48 Titanium is a polished spokes and rim, 5 spoke design alloy wheel. The Ronal R48 Titanium Front Diamond Cut is available in 5 stud fitment for various vehicles. 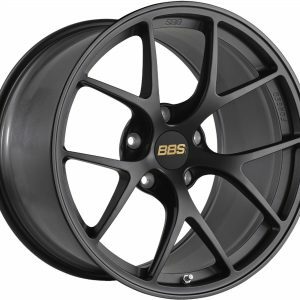 The wheel is available in 5 stud 5×100, 5×108, 5×110, 5×112, 5×114.3, 5×115 and 5×130 fitment. 5×100: Cars such as 5 stud Toyota, Subaru, Older Audi, Seat, Skoda, Volkswagen, Chevrolet, Chrysler plus others. 5×108: Cars such as 5 Stud Ford, Renault, Jaguar, Some Land Rover, Many Post 1989 Ferrari, Citroen, Peugeot, Volvo, Newer Alfa Romeo, Newer Lancia plus others. 5×110: Cars such as Newer 5 stud Vauxhall and Opel, Newer Alfa Romeo, Newer Fiat, Saab plus others. 5×112: Cars such as Bentley, Newer Audi, Newer Seat, Newer Skoda, Newer Volkswagen, Newer Lamborghini, Newer Mclaren, Some BMW, Maybach, Mercedes plus others. 5×114.3: Cars such as Newer Subaru, Lexus, Mazda, Suzuki, Toyota, Nissan, Renault, Infiniti, Mitsubishi, Daihatsu, Newest Ferrari, Hyundai, Kia, Jeep, Chrysler, Maserati, Newer Aston Martin, Large Ford, Newer TVR plus others. 5×115: Cars Such as Vauxhall, Opel, Chevrolet, Dodge plus others. 5×130: Vehicles such as Porsche, Citroen/Fiat/Peugeot Maxi Vans, Mercedes Sprinter/VW LT, Ssangyong, Nissan/Renault/Vauxhall 3.5T Vans plus others. To find out your wheel stud/lug fitment please see our alloy wheel fitment guide. Other fitments may be available on these wheels using spacer adaptors or vari-bolts, (please contact us if unsure about this). The Offset for this alloy wheel in particular varies, see list below. Centre bore size also varies, see list again. (any car smaller than this it will fit the centre bore). Ronal R48 Load Ratings (per wheel). You may use a different offset to the manufacturer standard wheel, (for example to create a wider track). Ronal offer 2 Year Warranty on their wheels and also state this wheel as being suitable for winter use. Some vehicles may require wheel spacers and arch modifications for fitment, so please check before ordering. Please note: You will receive a fitting kit free of charge if the wheel is not a direct fit to centre bore. This includes if current nuts or bolts no longer suitable.